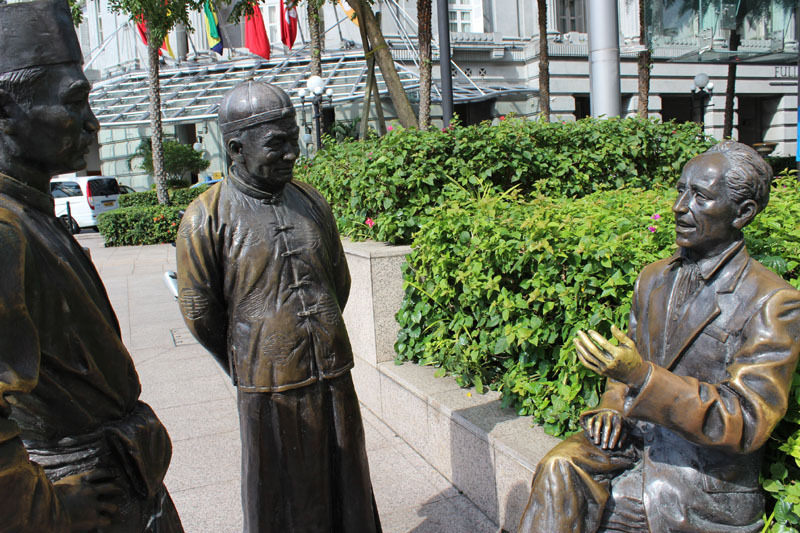 This sculpture signifies a Scotsman- Alexandra Laurie Johnston who was a prominent merchant, former ship’s owner/captain, Businessman, Magistrate, Justice of Peace in early years of Singapore. 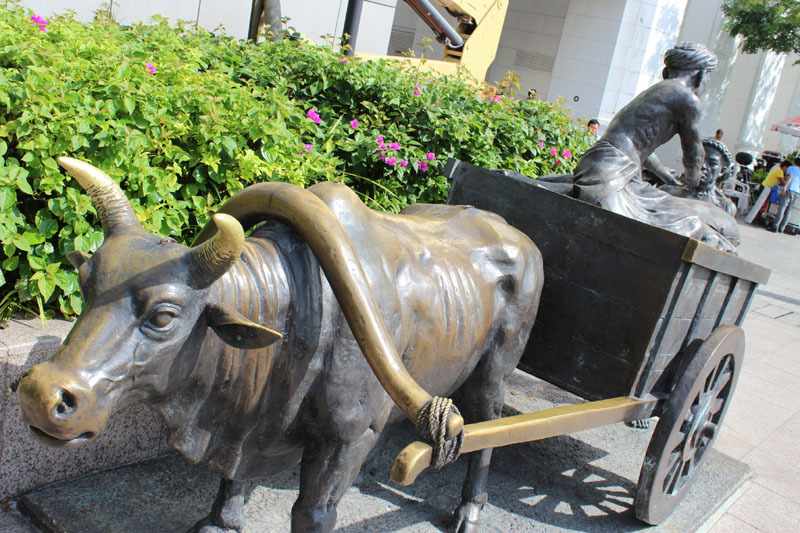 The sculpture shows he was mediating between Chinese trader and Malay chief while Indian and Chinese coolies load sacks onto a bullock cart. This is a common sight around the river in those days. 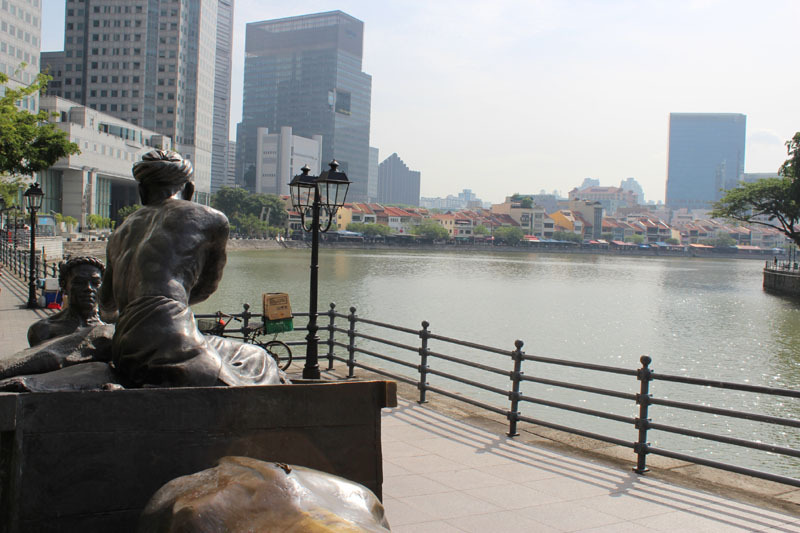 The sculpture locates between Singapore River and Maybank Towers where the heart of the river flow day and night. Please drop by listen to their conversation, at the same time enjoy the breeze of the riverbank. 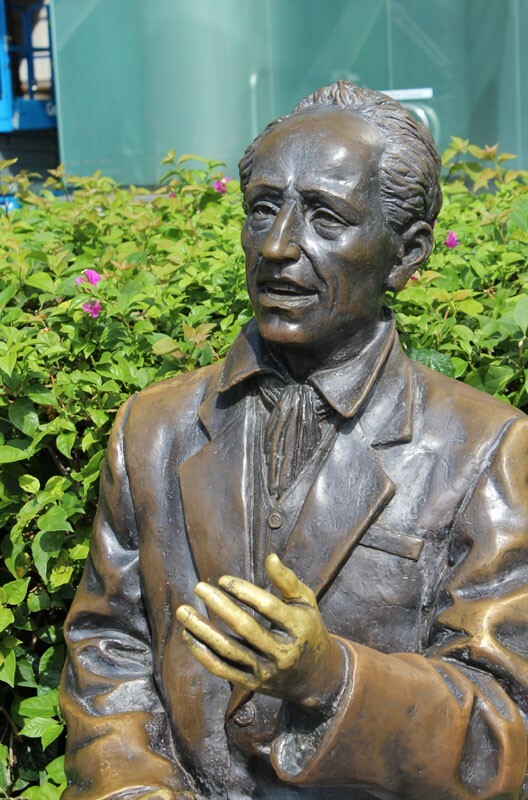 This entry was posted in Singapore Spot a Spot / 点出景点 and tagged Arts, community, Earth, life, literature, photography, postaday, Religion and Spirituality, Singapore, Singapore River, tourist spot in singapore.